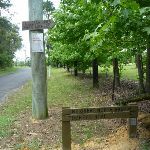 From the intersection, this walk follows the GNW arrow post, gently downhill along the sealed Forest Rd. 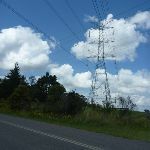 The road gently meanders past a number of rural properties for about 800m to pass under a set of high tension power lines. 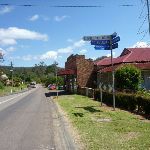 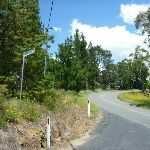 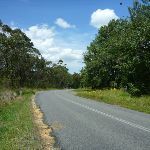 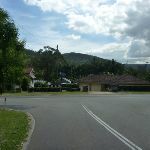 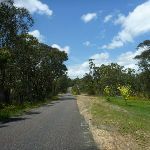 After passing under the power lines, the road leads gently down for about 500m to pass a well armed letter box (on your left), then about 250m later, the walk comes to a T-intersection with ‘Greta Rd’ (and ‘Bumble Hill Rd’). 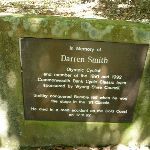 Here the walk turns left,, following the sealed ‘Greta Rd’ uphill passing among the rural properties for about 400m to pass a small memorial plaque ‘In Memory of Darren Smith Olympic Cyclist’ (on your left). 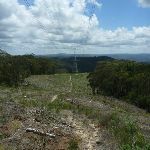 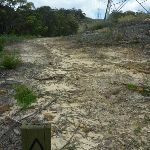 Just shy of 500m later, the road leads over a small rise to pass under some more high tension power lines and come to an intersection with a dirt trail (on your right), marked with a ‘Great North Walk’ sign. 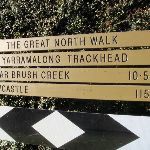 Turn right: From the intersection, this walk follows the ‘Great North Walk’ sign over the fence using the stile. 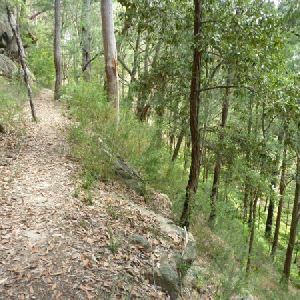 Here the walk follows a wide trail around the large tower, then follows the narrower track straight down the hill. 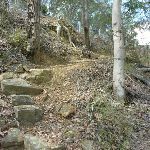 The track crosses a small gully then leads up to follow a trail around the next tall tower. 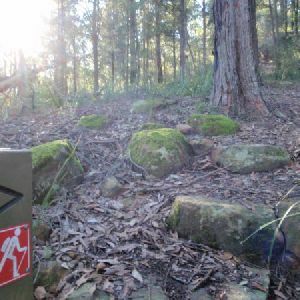 Here a GNW arrow post leads left, away from the trail and steeply downhill across another valley. 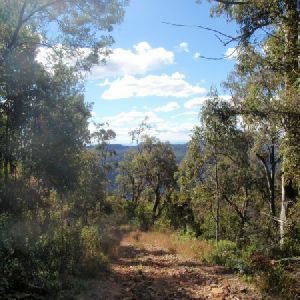 The track then leads up to, and follows, another trail up to the other side of a third tower, to find an intersection marked with another GNW track on the other side of the tower. 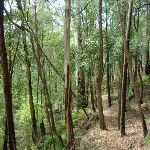 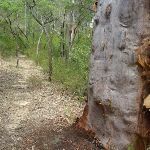 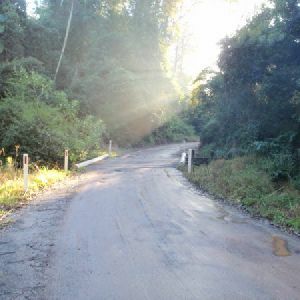 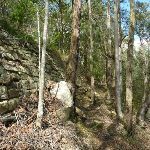 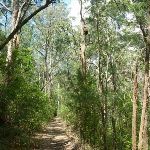 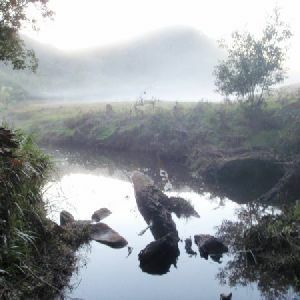 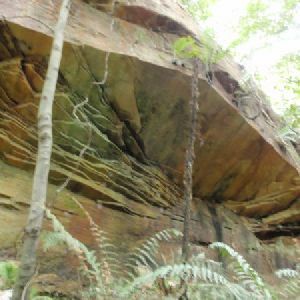 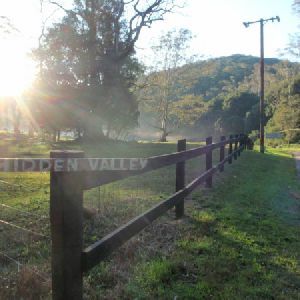 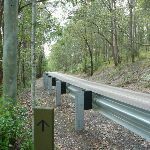 A list of walks that share part of the track with the Forest Road to Yarramalong walk. 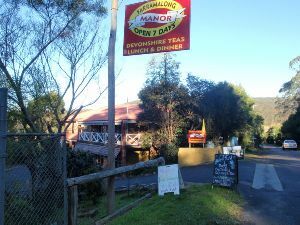 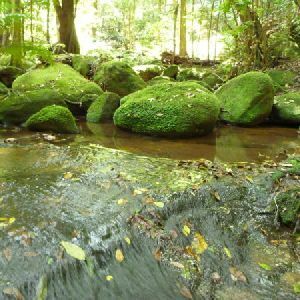 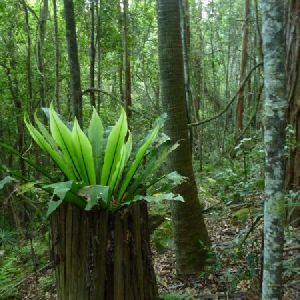 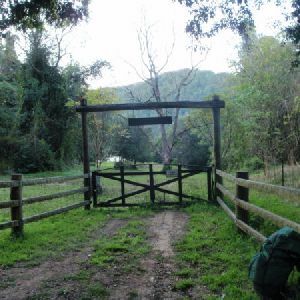 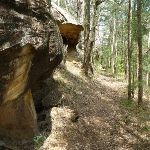 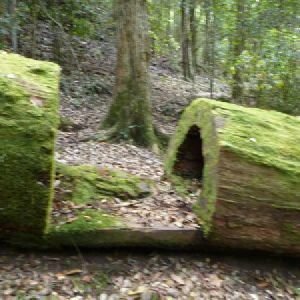 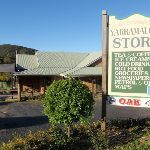 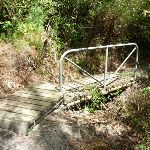 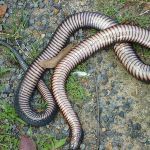 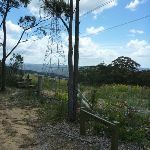 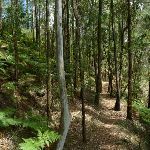 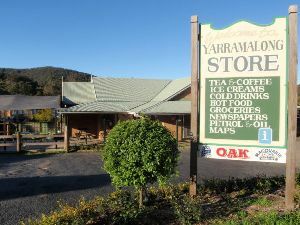 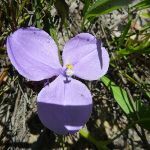 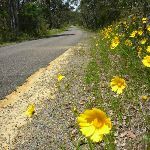 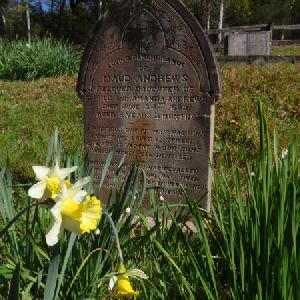 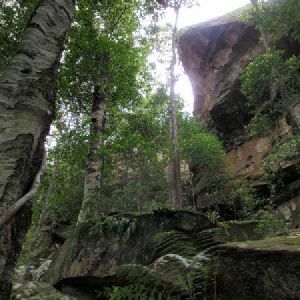 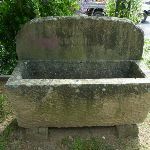 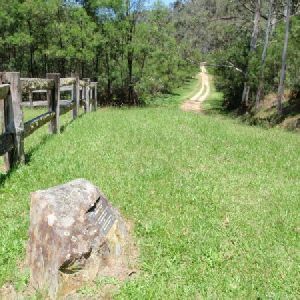 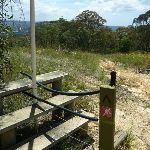 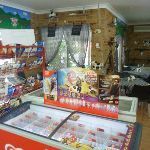 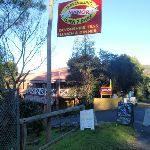 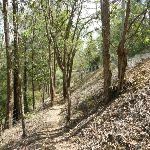 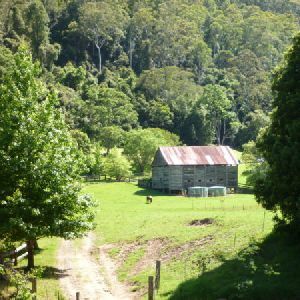 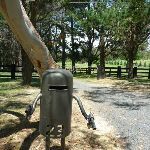 A list of walks that start near the Forest Road to Yarramalong walk. 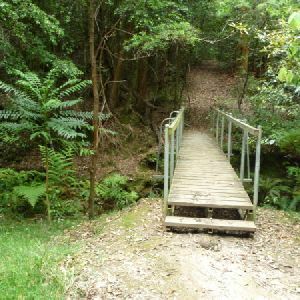 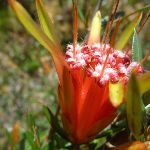 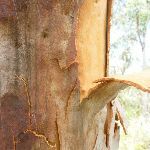 http://new.wildwalks.com/wildwalks_custom/includes/walk_fire_danger.php?walkid=nsw-wyonglga-frty Each park may have its own fire ban, this rating is only valid for today and is based on information from the RFS Please check the RFS Website for more information.